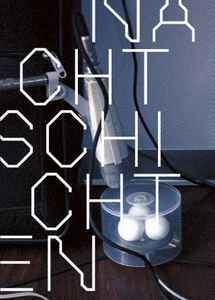 This publication documents eleven sound art works, which were developed by commissioned artists as part of the research project NOW II at the Zurich University of the Arts and broadcasted on the Zurich regional radio station Radio LoRa in 2006. The works explore new methods and techniques to operate artistically with very long duration in work and broadcasting. The audio CDs included in Nachtschichten contain representing excerpts from the radio works. Short annotations give information on terms, concepts, and the working process, which is also illustrated by photographs, sketches, and maps. For additional essays discuss the radio works under various respects and place them in a wider theoretical and artistic context. The essay by Salomé Voegelin is written in English, all other texts are in German.